Favorite part is that it all points to doing nothing. Without even reading it, the "do nothing" makes it 5.
haha, awesome stuff. "IGNORE HARDER" had me laughing. Now to trace the Kovalchuk contract through the thing and ... oh. Yup! Nothing doing! Gary Bettman creeps me out. or hire lawyers, implement bad planning, and ??? profit? 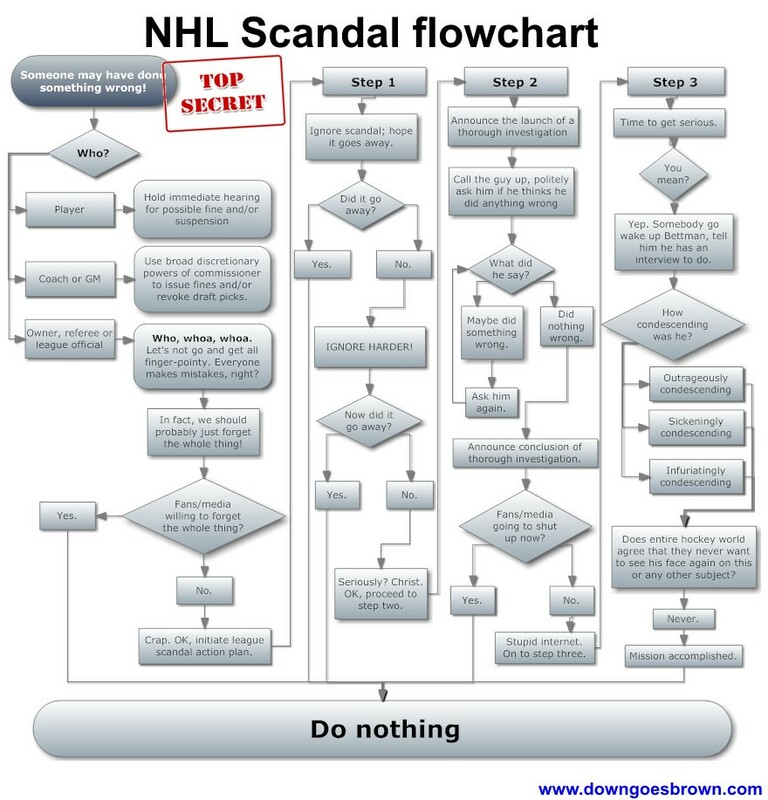 or is it really the typical nhl example of DO NOTHING. it's a disease. it almost remindes me of the blue and white disease. I like the part where it leads to "Do nothing". meh, not as good as the Suspension flowchart!!! this chart could have used a damnit Colie! I can't decide what was better, this flow chart or the suspension (regular season or playoff) flow chart from a while back. You could have attached the flow chart to the box "Player". I love how this is actually fairly accurate... Greater accountability is needed for sure. As a journalist, the condescending section was my favourite. Bettman's a troll. Brilliant as always DBG. Love the "how condescending was he?" part. I think an Honoured Convicted Felons wing in the Hockey Hall Of Fame is long overdue. Only thing missing is the 2-4 week timeline it takes to get it all done. 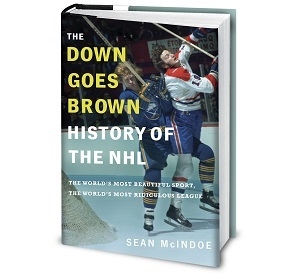 Where is the section for Bettman doing something wrong? It should go straight to do nothing.